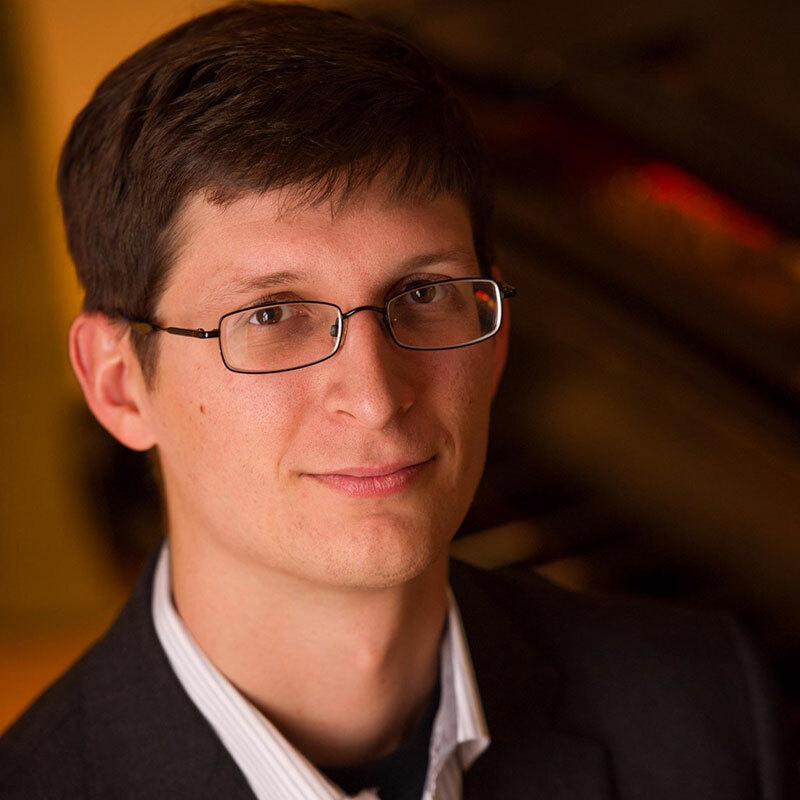 Joe Goetz is Music Director for WFIU 103.7 FM in Bloomington, Indiana, and has eleven years of experience hosting and producing classical music programming for public radio. While completing his B.A. in Music at Colorado College in Colorado Springs, CO, Joe worked part time as a classical music host at KCME 88.7 FM. Following graduation, he worked as a classical music host and producer at Vermont Public Radio, developing new and engaging programming in addition to programming and hosting a daily afternoon air shift. He is an accomplished pianist with several chamber music performances to his credit, an occasional choir singer, and an avid golfer. He lives with his wife, Meghann, son William, and their two cats, Ollie and Blanche.